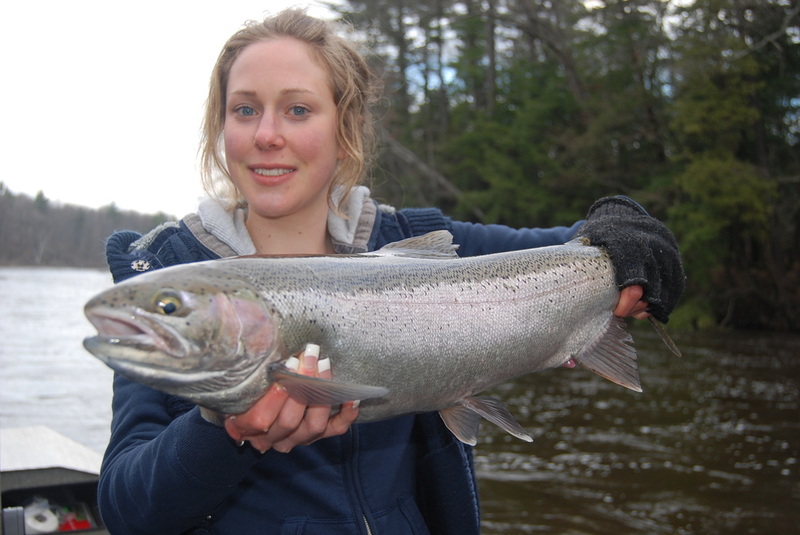 Molly with a gorgeous Spring Steelhead hen. 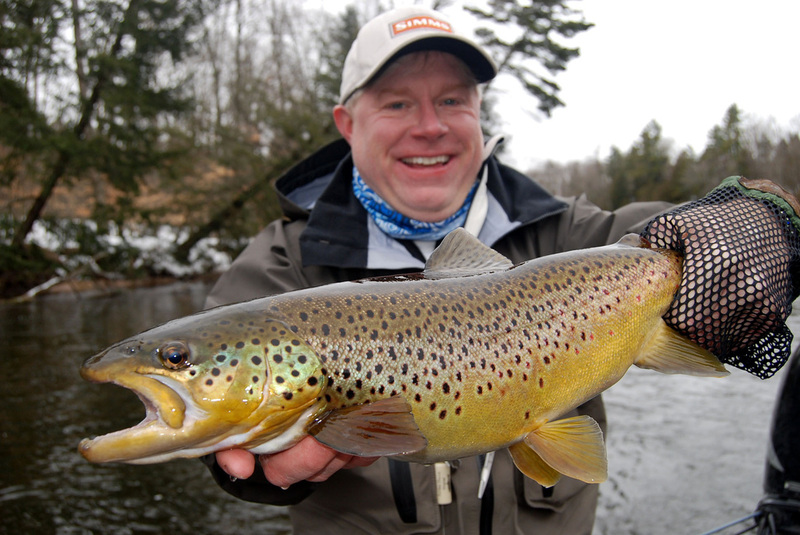 We had a blast float fishing, landing many nice trout, steelhead, and even a walleye. Nick with a stunning buck landed in the afternoon. 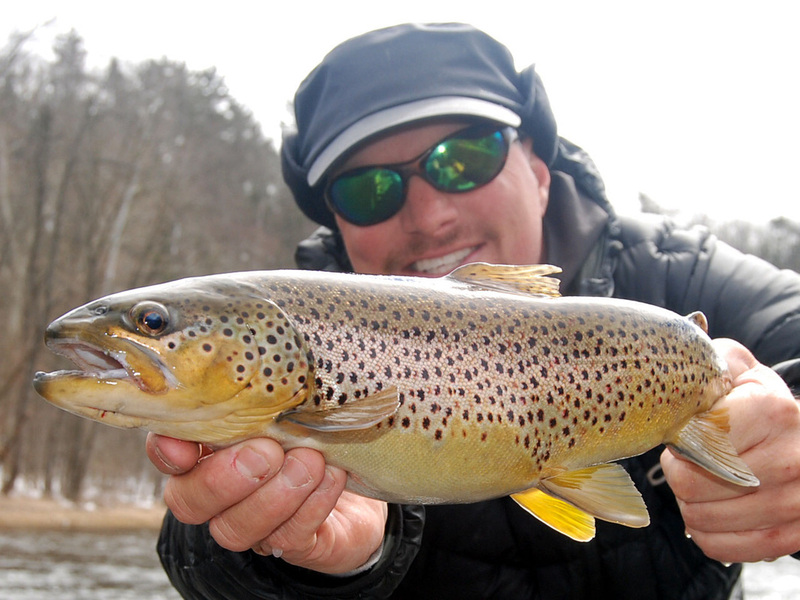 Fishing has been exceptionally good and warmer weather is just ahead this week! 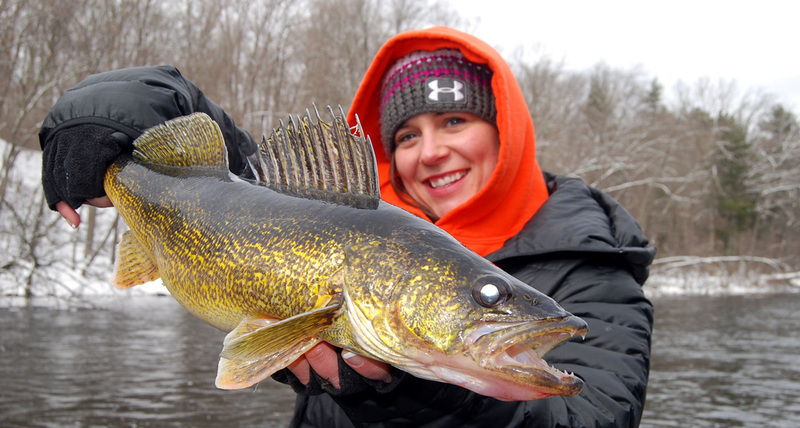 Molly landed caught a very respectable walleye with fishing a jig and perch minnow. 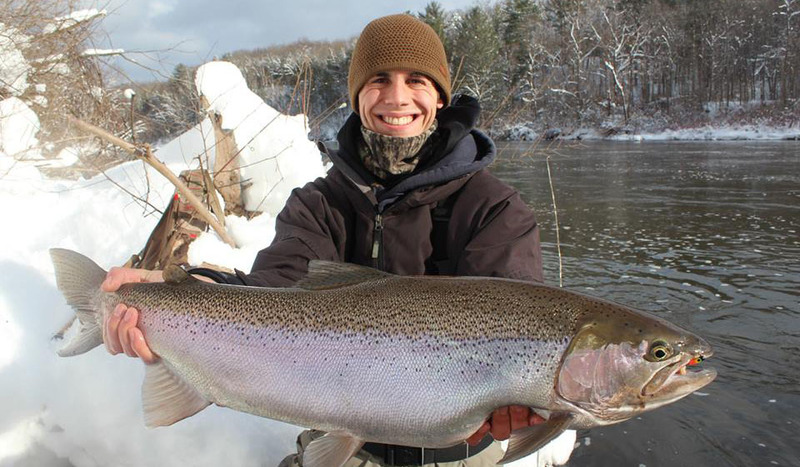 Spencer landed some nice steelhead while fishing bobbers with jigs a pink worm. 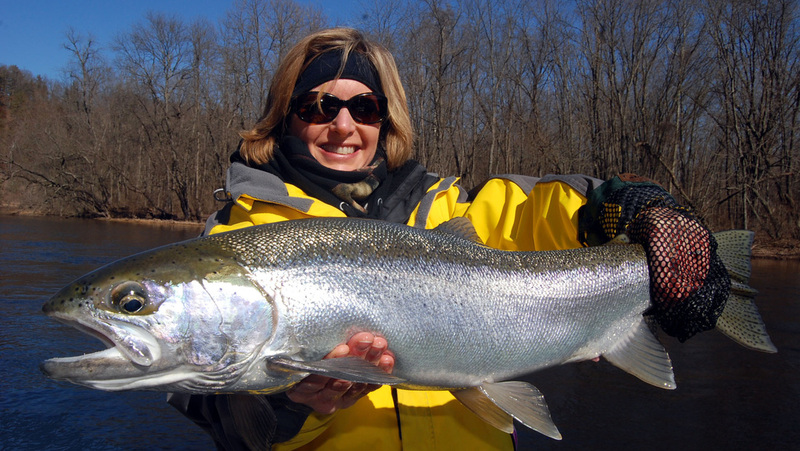 Spring chrome is on the way! (3/10) What a weekend we had, WOW! What a difference in fishing that a slight warm up makes. 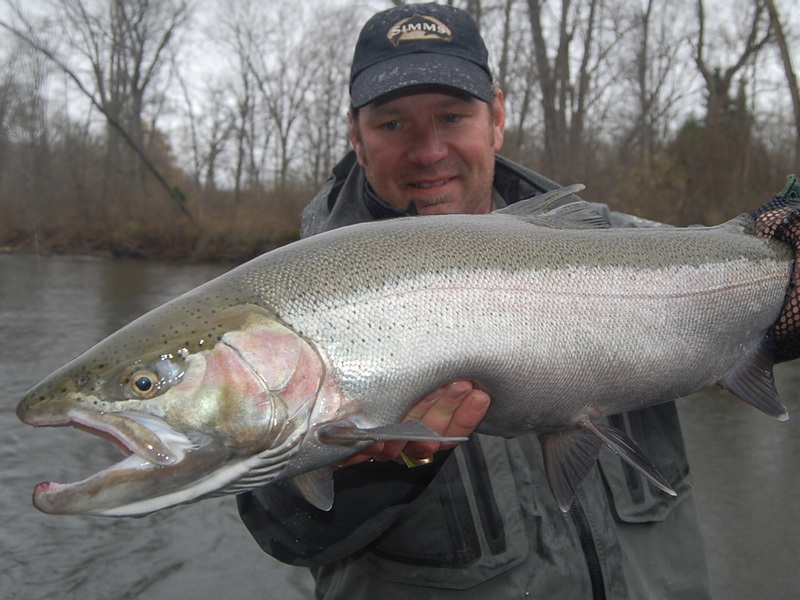 Steelhead were much more aggressive now, with a little more sunshine, things are shaking loose and getting going! 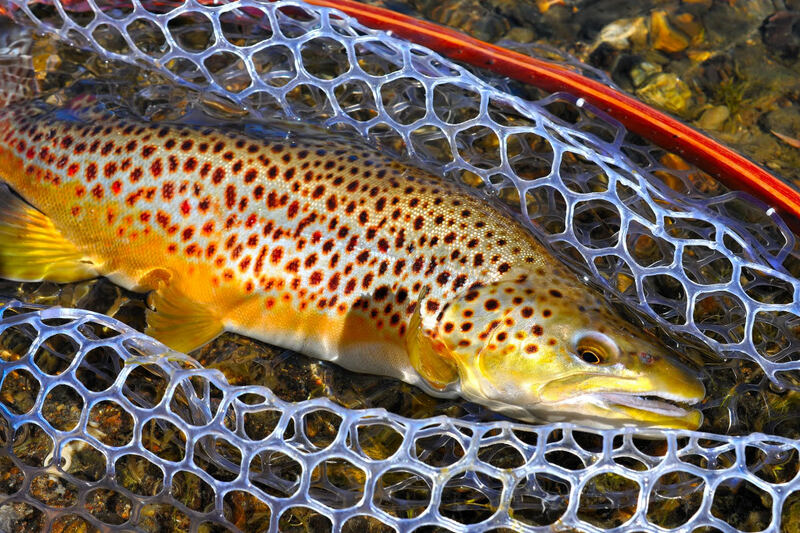 Over the next several days, we should start getting many bright new fish. Things are late this year but starting to move. 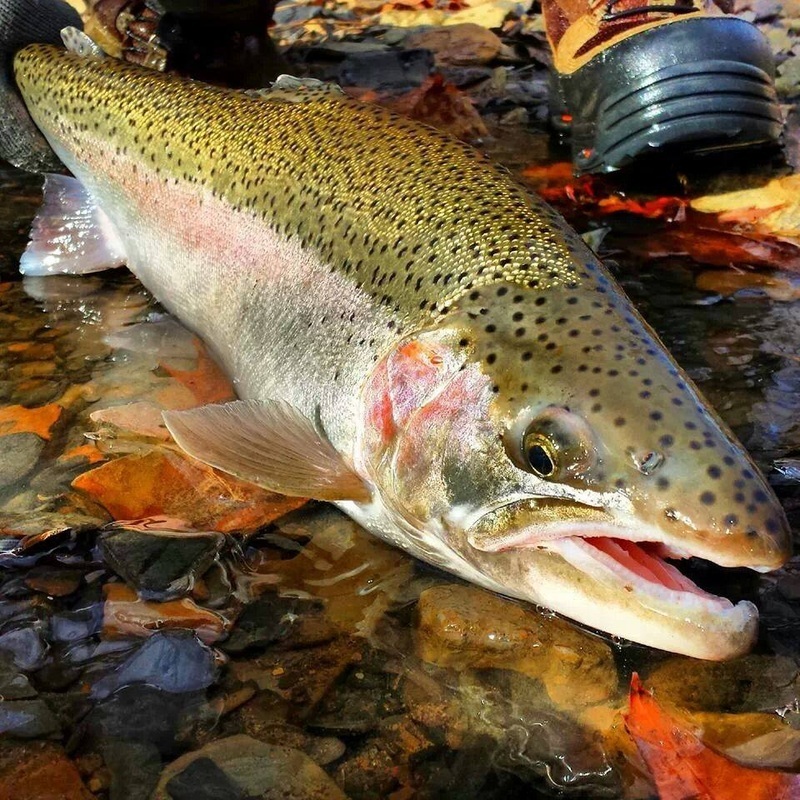 Steelhead are hungry and healthy! 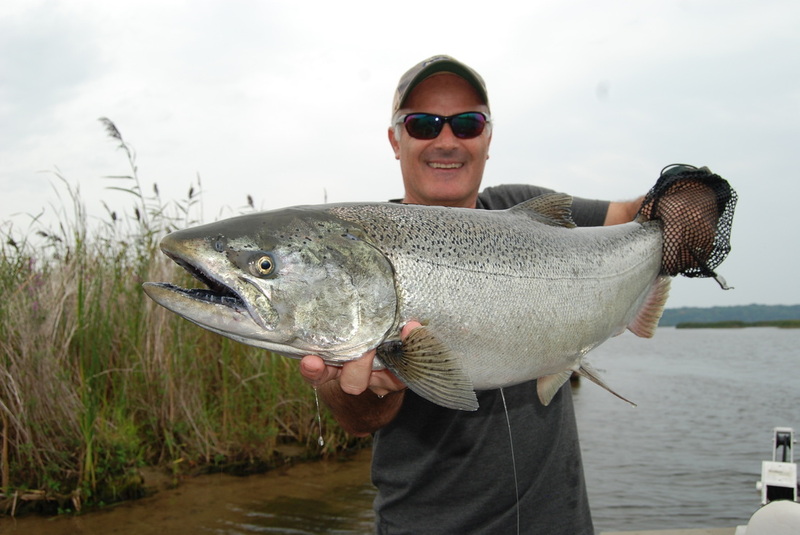 We seemed to land many fish on tiny jigs tipped with wax worms. Fresh spawn also worked very well. 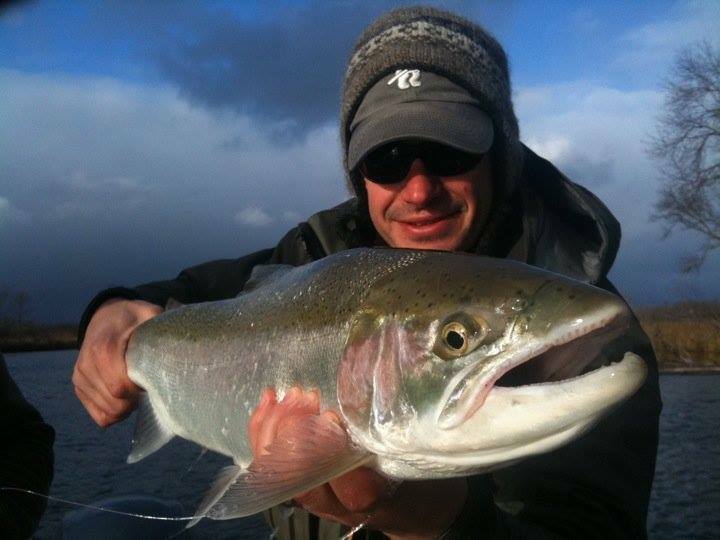 Kodie landed a bunch of nice steelhead drifting flies under a float on light spinning gear. Lots of ways to get it done, all of which seemed to work well. 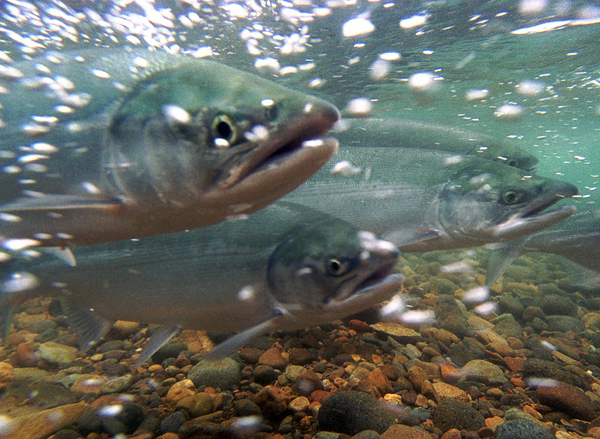 Water is warming slightly and starting to get fish interested in feeding. Should be a great week coming up! 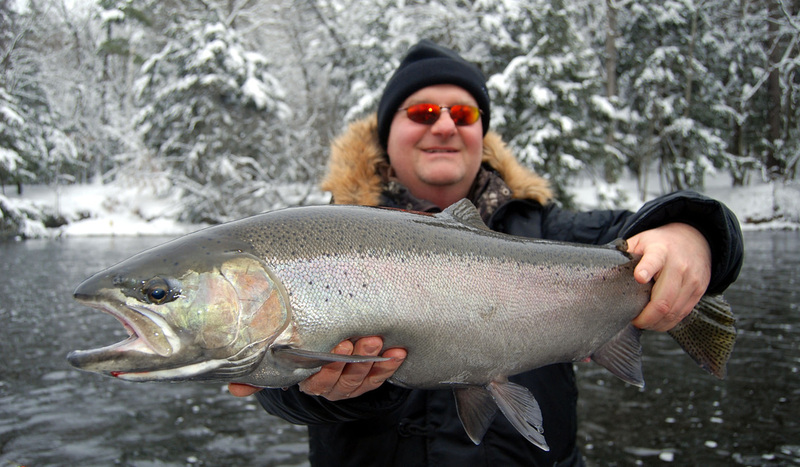 Choosing to use different flies, jigs, beads, and different eggs is always a key to landing more spring steelhead. Change it up & Get bit! (3/9) I’m not usually a fan of the, “Get out there at the crack of light” kind of a guide. Usually I like a bit more of a leisure start. However, this morning we were up and at ’em! Today paid big dividends to get out early. Fish today were very much on the bite well before the sun came over the trees! 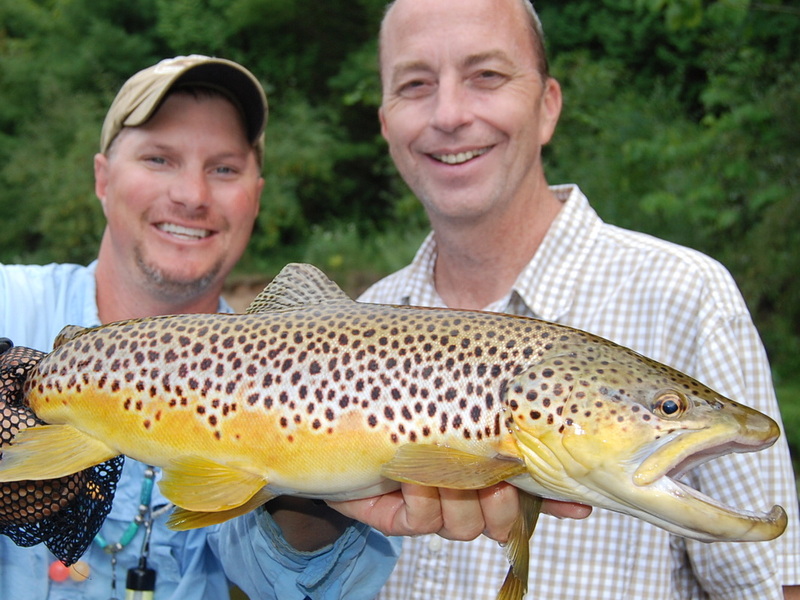 Brian and Scott booked a morning half day trip and it was on this morning for sure! We hooked over 6 fish just in the first spot alone! 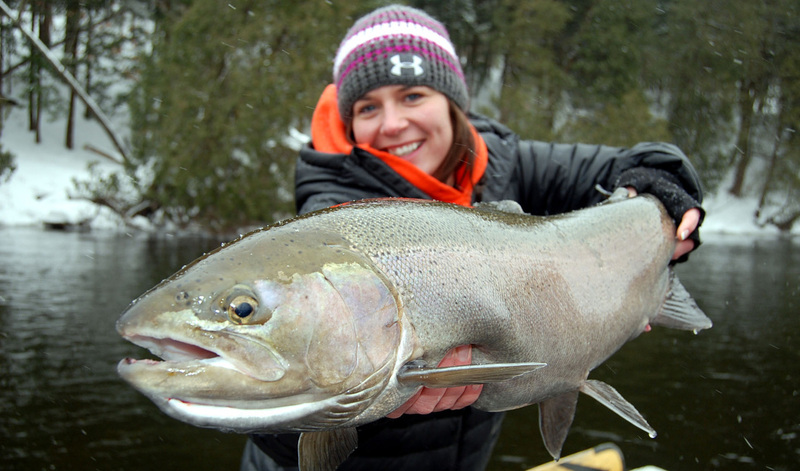 Spring Steelhead is off to a very good start! !